Wisconsin is famous for being a cheese and beer wonderland. It is America’s largest cheese producer, with more than 2.5 billion pounds of cheese produced each year. The beer industry employs more than 60,000 people, with a staggering 3.9 per cent making up the state’s GDP. America’s Dairyland is also known for big-time football, and the third-most successful football team calls this Midwest state home. In terms of natural beauty, Wisconsin has a beautiful geography characterised by dense forest, rolling hills and over 15,000 lakes, making it an outdoor lover’s dream. If you are looking to move to Wisconsin, the 23rd most densely populated state in America offers several options, be it large urban areas like Milwaukee and Madison (its capital), smaller towns, or villages that promise that classic, laidback Midwest style. Wisconsin has some big-name universities within its confines, including the University of Wisconsin and the private institution that is Marquette University. Manufacturing is an even bigger industry than the dairy business, the latter of which generates over $20 billion a year, with agriculture accounting for more than 350,000 jobs. Cost of living in Wisconsin is affordable, and an unemployment rate of just over 4 per cent is lower than the national average. Data from Bloomberg puts Wisconsin at position 1 on states with the highest rates of volunteerism. This isn’t much of a surprise given the state’s long history of community involvement and the constant need to improve the livelihoods of its residents. Suffice to say out-of-towners shouldn’t take long before they gel in. 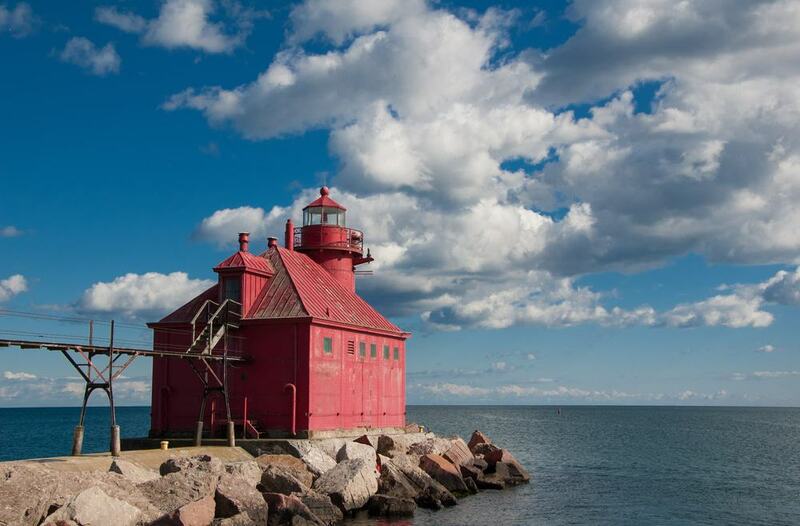 Here is our selection of the 15 best places to live in Wisconsin. Whitefish Bay is a suburb of Milwaukee with a population of 14,100. The town prides itself on having a unique character, and you really can’t fault it for it. It occupies an exclusive location near the lake where in 1889, one of Milwaukee’s beer barons who went by the name of Captain Frederick Pabst opened a resort that went by the name Century Resort. On a summer day, as many as 10,000 people from far and wide would congregate here for fun. That was before it closed down in 1914. The land has since been turned into residential lots, and a home goes for $337,400 on average. It is one of the most expensive places to live in the state, and rightly so. According to Niche.com, there is no better place to raise a family in the Badger State, nor is there a better “place” or “suburb” to call home in the whole of Wisconsin, ranking first in all three distinct categories. Waunakee is a village in Dane County that has christened itself ‘The Only Waunakee in the World”. Well, if it sounds like towns in Wisconsin have an air of vanity about them, they do a pretty good job of backing up their pride. Waunakee, a village of a little under 13,000 people, is one of only a handful of places in the Dairyland State with a perfect score of 10 on GreatSchools.org. It has plenty in store for its close-knit residents, including the WaunaFest in summer, and Wauktoberfest (of course!) which is held every fall without fail. This is more of a family town as a third of its residents are families with children. Shorewood is another unique place to put down roots in the state of Wisconsin. The village sits along a lake and is one of the most scenic locations to reside, making it a perfect spot for the mindful amongst us. With 13,300 residents, Shorewood may be densely inhabited but it is a community that offers its folk some bit of breathing space. The village is within close proximity of the largest city in the land and this, coupled with a highly rated school system, makes it a special place to settle down for both young professionals and families. Median home value in Shorewood stands at $292,600 and rent will cost you $908 per month. With a population of just over 6,000 people, Elm Grove is one of the smaller places on our list of 15 best places to live in Wisconsin. In terms of habitation, that is. We say this because the small suburb of Milwaukee nestled in Waukesha County has earned quite some big accolades over the years. For instance, in 2014, Business Insider named it the best suburb to reside in America. Mind you, the town nicknamed “The Grove”, was picked from a pool of 300 desirable suburbs with populations of between 5,000 and 100,000. It scores big on education (Niche also ranks it first on best public schools in Wisconsin), low crime, and a fairly wealthy population whose median household income stands at $114,755. As far as recreation goes, Lake Country, a popular summer getaway, is only 15 minutes away. Activities offered include camping, biking and boating. It also takes its environmental efforts seriously, and it is especially committed to making the environment conducive not just for its small populace, but also wildlife and birds, thus earning it the title of “Bird City”. 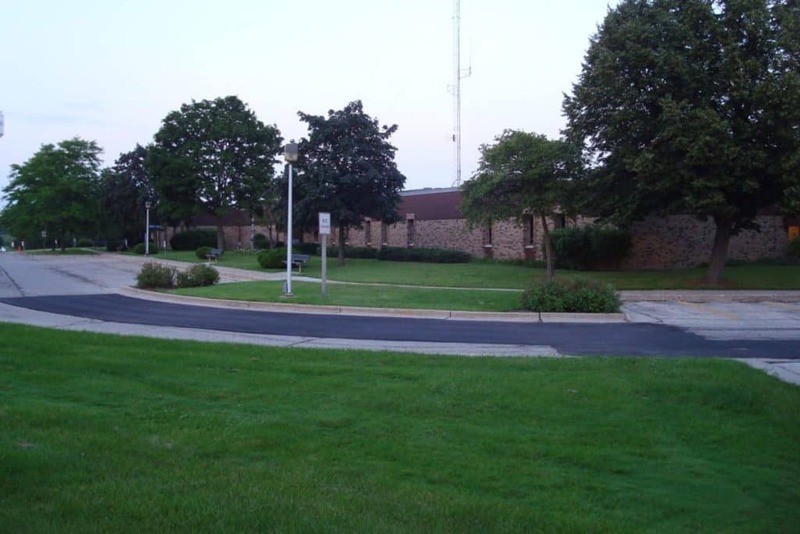 The town of Brookfield is located in Waukesha County and is one of the most affluent towns in the state. It has a large population that stands at 38,000, and most of the working population earn good salaries given that median household income is $92,518. As with every other place on this list, the public school system is stellar, and you are well catered for if you are big on family fun or nights out in town. As well, the local restaurant scene is diverse, and you are sure to find a couple of interesting options, whether you like it organic vegan or fancy hot and spicy Indian delights. And everything else in between. 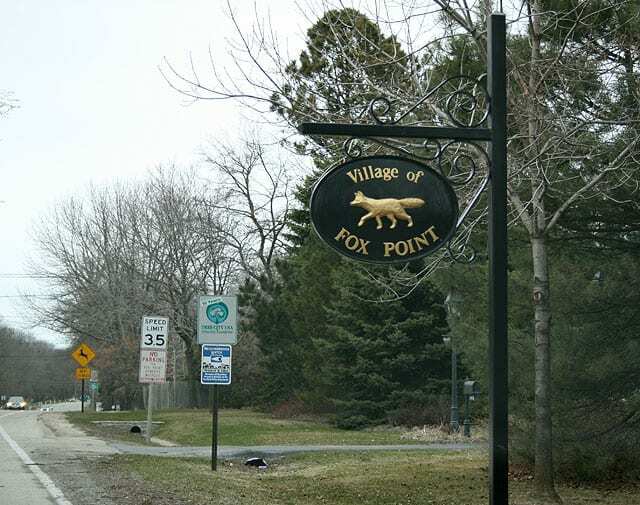 With just 6,700 residents, Fox Point may sound like your average family-friendly village. It is, to some extent. However, it takes it one step further because apparently, this is one of the wealthiest villages in Wisconsin, something that has led some to christen is one of the snobbiest places in the state. But in a good sort of way. Life in Fox Point is good. Real good. Neatly tucked in Milwaukee’s footprint, its residents enjoy one of the highest quality of life in the entire state. You would think it is also one of the most expensive, but it isn’t even in the top 10. Or top 18. Homes go for $293,300 which is about the cost of a three-bedroom mansion. Yet, the area has one of the highest incomes per household, averaging $115,523. Couldn’t get any better really, could it? Mequon, WI may not sound exactly like one of the best places to live in Wisconsin. Until you hear the likes of Eric Benet and Halle Berry own homes in this quaint neck of the woods in Ozaukee County. Mequon is home to some 23,500 people who, following the celebrity revelation, you don’t need to be told are quite the high rollers. At $101,986, these residents are some of the highest earners in the Midwest state. And they take their kids to some of the best schools in Wisconsin. Understandably, Mequan is also one of the more expensive areas around these parts of America, and a home here goes for $347,800 on average. If you work in Wisconsin’s capital city or just fancy the city life but would rather retreat to a quieter environment near the city, few places are as desirable as Verona. What else there is to love about this beautiful town in Dane County is that life is fairly affordable. Renting a home will set you back about a thousand dollars a month, and if you are interested in buying a home, expect to part with a fee in the range of $249,500. That is not such a big deal as it may initially sound considering living in Verona means you are also making plenty of money, as the more than 11,700 residents can attest to. Median household income stands at $87,286. For those looking to relocate to Wisconsin in search of greener pastures, Fitchburg holds a lot of promise. Also located in Dane County, the beautiful town lying just south of Madison has a low unemployment rate largely due to the presence of more than 2,000 businesses and services in the area. It is home to 26,600 people, and these folks enjoy a high quality of life despite their average household income being lower than some of the spots mentioned in this list. It amounts to $61,346. Cost of living can be said to be fairly average in relation to earnings, as the median rent of $875 might indicate, or even the average cost of property which is $272,000. By and large, though, there is little to fault Fitchburg for. Located about 20 minutes west of Milwaukee is Wauwatosa, a populated suburb that is home to more than 47,000 people. It is one of the best places to live near the state’s biggest city, and it comes as no surprise to know this is a preferred hotspot for millennials. This, in turn, means the nightlife is vibrant. Luckily, the affordable cost of living is supportive of their incomes, which average $69,460 per household. Homes rent for less than a thousand bucks mostly ($957 to be exact) and those looking to purchase a home can budget for about $220,800. It is good to note that is just about the cost of a three- to four-bedroom mansion, and if a two-bed single-family home is your target, a figure half of this would be enough to secure you a decent property. With only about 1,500 people calling this tiny village home, Maple Bluff is the smallest town on our 15 best places to live in Wisconsin list. It is a darn costly one, though, with a home fetching at a hefty $460,300. What makes the place so expensive, you may wonder? Turns out, this is one of those tiny, exclusive neighbourhoods you find in just about every state. As for Maple Bluff, it is where the residence of Wisconsin’s Governor is located. 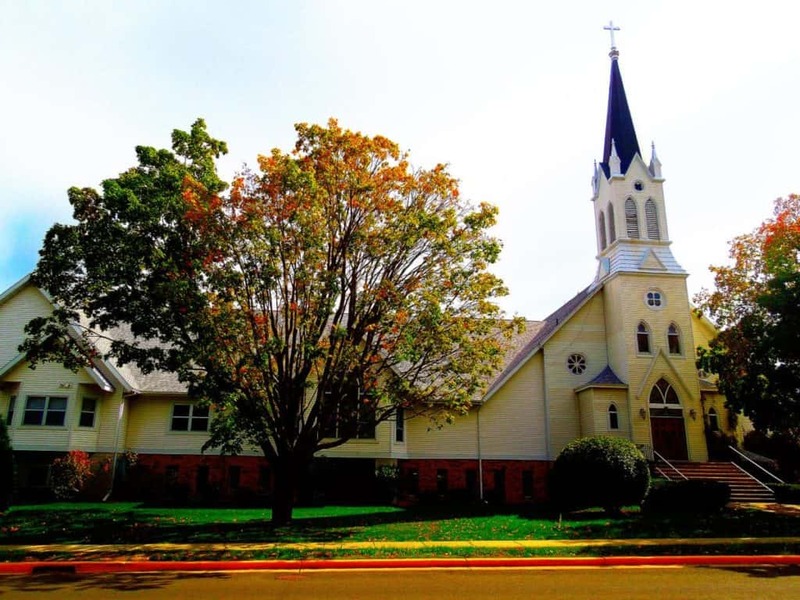 Other famous names that have called this village home include the Pulitzer Prize-winning author and playwright, Thornton Wilder, as well as the late actor, Chris Farley, not to mention the home of another actor Bradley Whitford and Olympic speed skater Connie Carpenter-Phinney. Figures then, why the area has some of the highest incomes in the state, averaging $130,577 per household. It may be small, but Maple Bluff offers its residents a varied choice of cafes and eateries, not to mention plenty of bike paths that ensure the inhabitants maintain their cordial relations through constant face-to-face interaction. If you are a young family with education on your mind, Brewer’s Hill is definitely not the place for you. The historic neighbourhood is best suited for retirees because one: purchasing a home is within the reach of many (median home value is $193,213); two: there is virtually no crime in the area and three: its historic nature means it provides just the kind of serene environment they need. However, Brewer’s Hill is quickly growing and there are several developments springing up all over the place. To a point, the affordable cost of living can also support young professionals. And just because it suits retirees doesn’t mean the two demographics can’t live in harmony. Because guess what, the nightlife in Brewer’s Hill far trounces every aforementioned area on this list. It is here that you will find the Lakefront Brewery, one of the best in Milwaukee, and the Beerline, a section of the River Walk, also runs through Brewer’s Hill. Its combination of historic and trendy makes for a perfect balance, as the almost 2,800 residents will admit. If you are looking for a beautiful community to live in Wisconsin that doesn’t blow a hole in your budget, you will be hard pressed to find a better option than Stevens Point, a town in Portage County that is home to almost 27,000 people. The low cost of living is its major selling point, and this actually explains the dense habitation. But don’t mistake these two factors to mean this is a rundown neighbourhood for those who can barely eke out a living. Quite on the contrary actually. Steven’s Point has gained accolades from various publications, some calling it a Top 10 Dream Town, others naming it one of the Top 10 Places to Live in Wisconsin, while others list it as one of the top places to retire in Wisconsin. Steven’s Point also boasts some of the best schools in the Badge State, and you will be spoilt for choice when it comes to exploring bistros and breweries in the area, never mind upscale dining locals such as the popular @1800. And the best thing about it? Rent will cost you $655 a month and anyone planning to buy a home will be talking figures in the range of $118,900. While we are still speaking affordable cost of living, another area that promises to give you the best value for money is Sturgeon Bay. This is a town in Door County with a population of 9,000 people. Homes in the area go for an affordable $132,400, and rent is in the range of what you are likely to get in Steven’s Point ($658). The town is home to some outstanding schools, and the families living here take home a combined $46,906 a year. That doesn’t in any way take a shine off their life in this affable town. The residents make full use of the colder months by holding, among others, the Fire & Ice celebration which features an ice-carving competition. When the warmer months roll around, this close-knit bunch hosts a slate of events such as the Maritime on Madison weekend festival in August, and the Harmony by the Bay concert series held all through the summer. Rounding us off is a suburb many city dwellers will feel right at home in. 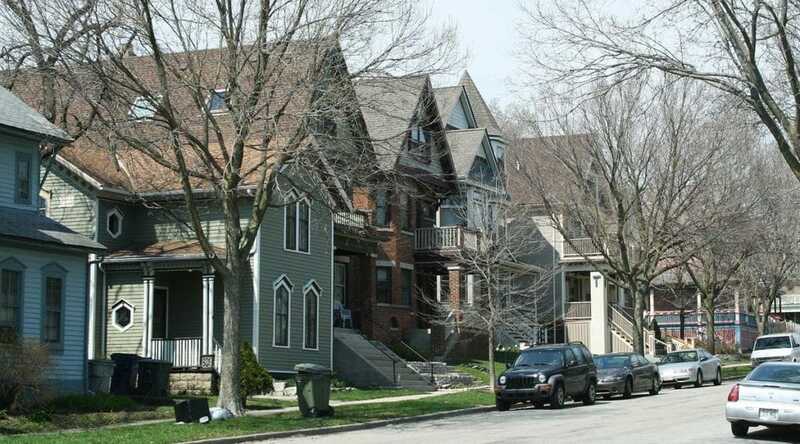 Franklin is a suburb of Milwaukee with a population of 36,100. It warrants a mention on our list of 15 best places to live in Wisconsin because first and foremost, the cost of living is affordable. It is not every time you find a desirable spot just outside of a major city where rent prices are below $1,000 dollars. In Franklin, expect to part with about $960. If buying a house is on the cards, $224,400 can secure you a three-bedroom single-family property. The public school district in Franklin is also one of the best in the Badger State, and residents enjoy fairly high incomes of $73,148 on average per household. Some of the biggest employers in town mostly revolve around manufacturing, education, healthcare and retail. In closing, it probably pays to know the town gets its name from the one Benjamin Franklin.